Scholars and mainline pastors tell a familiar narrative about the roles of women in the early church: that women held leadership roles and exercised some authority in the church, but, with the establishment of formal institutional roles, they were excluded from active leadership in the church. Evidence of women's leadership is either described as "exceptional" or relegated to (so-called) heretical groups, who differed with proto-orthodox groups precisely over the issue of women's participation. For example, scholars often contrast the Acts of Paul and Thecla (ATh) with 1Timothy. They understand the two works to represent discrete communities with opposite responses to the question of women's leadership. In A Modest Apostle Susan Hylen uses Thecla as a microcosm from which to challenge this larger narrative. In contrast to previous interpreters, Hylen reads 1Timothy and the ATh as texts that emerge out of and share a common cultural framework. In the Roman period, women were widely expected to exhibit gendered virtues like modesty, industry and loyalty to family. However, women pursued these virtues in remarkably different ways, including active leadership in their communities. Read against a background in which multiple and conflicting norms already existed for women's behavior, Hylen shows that texts like the ATh and 1Timothy begin to look different. Like the culture, 1Timothy affirms women's leadership as deacons and widows while upholding standards of modesty in dress and speech. In the ATh, Thecla's virtue is first established by her modest behavior, which allows her to emerge as a virtuous leader. 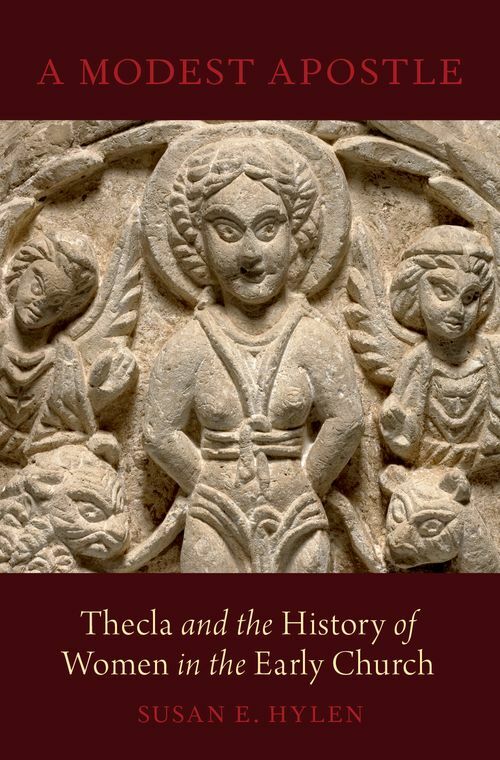 The text presents Thecla as one who fulfills culturally established norms, even as she pursues a bold new way of life. Hylen's approach points to a new way of understanding women in the early church, one that insists upon the acknowledgment of women's leadership as a historical reality without neglecting the effects of the culture's gender biases. Susan E. Hylen is Associate Research Professor of New Testament at Candler School of Theology in Emory University.